PHOENIX – Brittney Griner swatted away just about everything within reach in the first quarter, setting the stage for a Phoenix rout. Sylvia Fowles scored 19 points and grabbed 11 rebounds for Chicago but was just 8 of 20, usually against Griner in a matchup of the last two WNBA defensive players of the year. 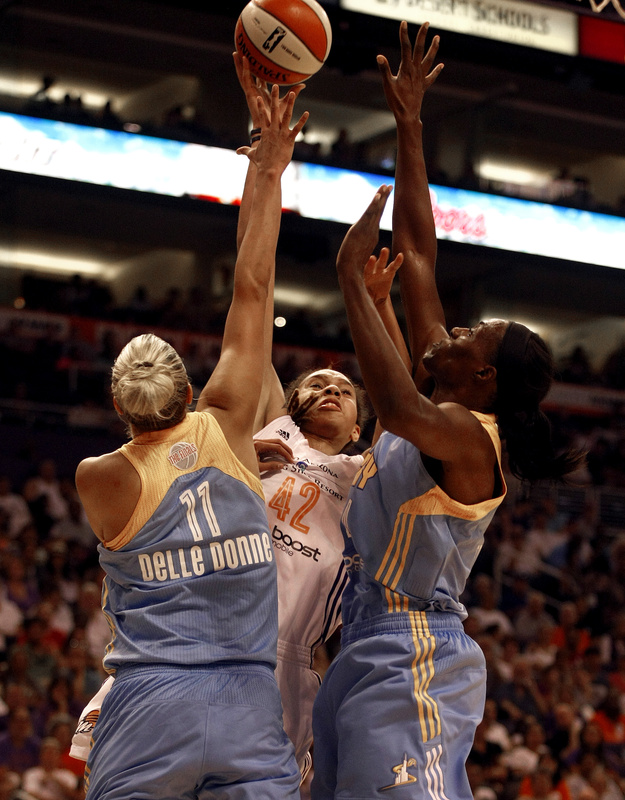 Elena Delle Donne only played 11 minutes because of a bad back. She finished with two points and didn’t play in the second half with the game already out of reach. Delle Donne said she took herself out of the game because she thought she was hurting her team, and she hoped sitting the rest of the game out would make her better prepared for Game 2 of the best-of-five series, set for Tuesday night in Phoenix. Alley Quigley, who was the league’s sixth woman of the year, scored 13 points for the Sky. She missed 11 of her 15 shots.